YEREVAN (ArmRadio)—Artsakh, Armenia and Diaspora managed to rebuff the aggression and ensure the security and independent statehood of Artsakh, and the Armenian statehood, at large, Spokesman for the Artsakh President David Babayan said on April 2, one year after the Azerbaijani aggression against Artsakh in April 2016. “Had Azerbaijan reached its inhumane goals, the aggression would not be restricted to Artsakh, official Baku would launch a large-scale attack at Armenia’s border,” Babayan said in an interview with Public Radio of Armenia. According to Babayan, the international community has also made conclusions. “The superpowers could not stay indifferent to outburst of violence and destabilization of situation in the South Caucasus, which has always been of strategic importance from geopolitical perspective. They now see that Artsakh is a factor, that the Armenian nation is united and is not ready to give in to a fascist enemy. It’s clear to everyone that Azerbaijan will suffer a final defeat should hostilities resume,” he said. Referring to Aliyev’s claims that the Karabakh issue is “an internal affair of Azerbaijan,” Babayan said, “This is a gross violation of international norms, a challenge to the civilized world and the international community, disrespect for the work of the OSCE Minsk Group Co-Chairs and finally, a statement of a mentally ill man. 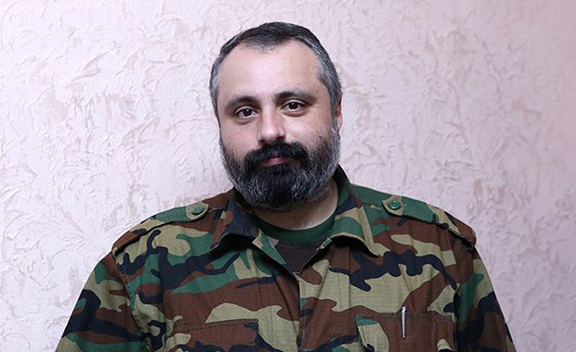 Why is the Minsk Group working on the conflict, if it’s an internal affair of Azerbaijan?” Babayan said. “The military doctrine of Artsakh and Armenia is based on proactive defense,” he said. “That means we’ll never be an aggressor, but in case of assault from the Azeri side, we’ll do our best to have the military actions spread into the depth of the enemy’s territory. That means we’ll not just sit and wait for developments. Had the April war continued, the situation would be completely different, but Azerbaijan asked to cease the war, and we agreed to avoid a greater number of losses,” the Spokesman said. “If Azerbaijan resumes military actions, all of its citizens will feel the consequences of it. We don’t want anyone to suffer. We do not feel hatred for the Azerbaijani people. It does not mean, however, that we’ll not protect our Motherland. Azerbaijan should understand that war directly leads to deadlock,” he said.